In conjunction with Black Friday and Cyber Monday, Unifi Mobile is offering free unlimited data passes from 23 to 26 November 2018. All you’ll need to do is to purchase an eligible pass from the Unifi Mobile app. After you’ve purchased the eligible add-ons, you’ll be given a 1-day free unlimited data pass for LTE (BEBAS Daily). 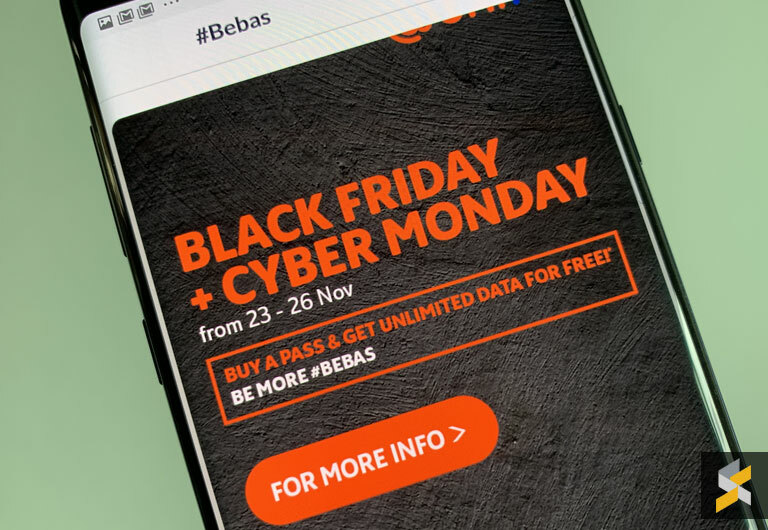 If you purchase the BEBAS Weekly plan, the free unlimited data pass will be given to you on your 8th day. If you purchase the other two options, the pass will be activated 2 days later. For example, if you purchase a 4G High-speed data add-on on 24 November, the daily unlimited pass will kick in on 26 November 2018. The free unlimited data pass will be shown under the Add-ons tab in History when it’s activated. For more info, check out their FAQ.